J.K. Youth Conference 2007 in the Netherlands, the Dutch Korczak Association started a Ghana working group. Mr. Yakubu Iddrisu from the town of Tamale (Northern region of Ghana) was one of the participants in the Youth Conference and he explained the situation of youngsters and women in that part of the country. During the "Open Stage" in the conference he told us about the activities of the Community Partnership for Youth and Woman Development (CPYWD) in Tamale, and some communities around the town of Tamale. For that reason he invited the Dutch Janusz Korczak association to continue the contacts and cooperation. We accepted this invitation with great pleasure and we started a Ghana working group with young people to give them feed-back, support and to develop together with CPYWD ideas and materials. 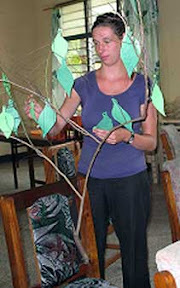 The "leading lady" of the Ghana working group is Maartje Bos. She worked already for 6 months in the Tamale-project and brought us in contact with Mr. Yakubu. Maartje Bos herself is also representing the Ghana Haarlem Association. So, at the moment we have a strong triangle and the pedagogy of Janusz Korczak is the red thread. In the meantime the next step was already made. New volunteers went to Tamale and returned with a lot of experiences. They reported and wrote about the continuation and new steps in the project Specially the activities for the after-school program for children and youngsters were successful. From 6 to 20 October 2008, I had the possibility to visit the project in Tamale myself. I would like to give a short impression. A good airco bus brings you in 14 hours to Tamale, the regional capital of the Northern Region of Ghana, 220.000 inh., flat and hot but with a lively atmosphere. Here we find the center of the CPYWD-project. As a project interested and specialized in youth development, we observed Ghanaian youth lacking skills that are appropriate for personal development as well as for the development of the environment. 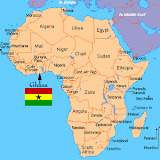 Although the education in Ghana is improving, changes take place slowly. To undertake direct action in the field where it is needed, we decided to meet the youth in their own environment and give them the chance to actualize their capacities with an after school program combining learning and having fun. Development means that something new is added to what already exist to reach a higher level. To invent something new, creativity is demanded. When the new idea is created, it has to be executed. This means that someone has to take the initiative to bring the idea into practice or at least express the idea. When executed, the person has to reflect upon his own actions to be able to improve performance in the future. Although more skills are contributable to development, this program focus on being creative, taking initiative and reflecting upon own actions in order to form a basis on which further development can take place. "To be committed to our vision by being catalyst and innovators working towards the creation of safe, just and sustainable communities on the full and healthy participation of youth and women and adults and to co-create a "practice field" where adults, youth and women can learn together on a lifelong basis, focusing on building partnership to empower themselves, advance community development and strengthen multicultural understanding in Ghana and the communities". The knowledge, skills and confidence to become self-reliant citizens whose sense of social responsibility propels them ahead. One of the first days I had a meeting with some members of CPYWD-board. Some are teachers, some are social workers, others work in business and one is minister of an evangelic church. So, people from different fields in society. They explained me that CPYWD is still young but full of ambitions. Thanks to the all-coordinator and head of the project Mr. Yakubu Iddrisu. On my question: "What is the next step to be done in the project?" They answered unanimous: "We need to focus on awareness of the youth for their place in society and in their personal life and at the same time we have to give them tools to arrange and plan their life. Many of them have a low self-esteem and low self-confidence. We can help them to make next steps and decisions and not to wait in a passive way. With the help of the Dutch volunteers we arrange learning by playing (see below)". We discussed the need to have a support from the teachers and the families. If children and youngsters remain passive students with no chance for initiative or active participation in the school-community the project can hardly change their attitud. Children receive conflicting messages. For that reason the CPYWD tries to involve also the teachers from primary schools and Junior High Schools. They are invited to attend meetings and workshops. Family support is much more difficult, but it is in the planning. During this meeting I explained the possibility in Holland to support them. The Janusz Korczak Association together with the Ghana Haarlem Association can arrange together with the partners in Ghana a strong triangle of cooperation. Talks with Miss. Sanne Peters, the volunteer working for several months already in the project, made clear that the process of change is going step by step. We shouldn’t be impatient and not expect too much. But she noticed that the learning-through-play approach is doing well and it was proved when a new group from another community started from the beginning. The progress of the already existing groups was obvious compared with this starting group. So, that is hopeful and motivates to go on. In general groups of youngsters in the community are rather stable, but when children are needed to work in the fields they can or will not attend the meetings. But it is understandable. Miss. Sanne Peters, the Dutch volunteer, said that she and her colleagues try to involve the teachers to work in another way, adopting alternative approaches to teaching. But because of the lack of good teachers who studied in a teacher training colleges it often happens that young people coming from a senior high school, after a short course, are put as teachers, in the school in front of more than 50 pupils. They try to survive and have no good materials, know-how about the development of children or didactic skills to realize interactive learning. After visiting several schools (Primary and Junior high schools) I have to say that her conclusion is true. I had the opportunity to offer a workshop/lecture for 32 adults, people working as facilitators for the after-school activities and also some teachers from Public Primary schools with whom CPYWD works. We started with an introduction to the life and work of Janusz Korczak. We discovered that Korczak’s idea’s about the autonomy and active participation of children come close to the objectives of their work with youngsters. Dr Joop Berdings’s article “Participation in the classroom, the inspiration of Janusz Korczak” was the guideline for this lecture and workshop. But for them, working with youngsters in the after-school program, we also focused on the issue participation and citizenship. Children need to learn that the rights of citizens also require responsibility. In order to learn these responsibilities children and youngsters need to engage in collaborative activities with other persons, including those who are older and more experienced than themselves. For this reason CPYWD activities in the communities are very important. When adults recognize children’s capacities and when they give them step by step more responsibility and tasks, they will grow to active members of society. CPYWD also organized a workshop for youngsters (14-20 years old) from Tamale and some communities in the neighbourhood. These youngsters are already for a longer time participants of the after-school program offered by CPYWD. About 47 people attended this meeting and we did some activities focused on group work and active participation. The second workshop with the pupils" title="The second workshop with the pupils" border="0">They got individual and group task and we discussed the impact of these workshops on their personal feelings and involvement. Many of these youngsters have a low self-esteem and feel not free to express themselves. Cooperation and finding a creative solution in problem solving is a weak point too. Learning-through-playing is for them the best approach. The workshops, taking many hours with a break for meal and drinks, were a big success. Also some quests (teachers and facilitators) gave positive reactions and comments. Together with Elisha, one of the volunteers and staff-members of CPYWD, we went to a small village, north of Tamale called Katariga. Elisha (facilitator) planned to work that day with children, 8 and 9 years old, of the village school. We arrived a little bit early and school didn’t finish yet. I had the opportunity to visit some lessons. First impression was the overcrowded room with 56 children. Little wooden school seats, three children in one seat. No space to write or to move, a lack of good materials and books, Teachers who demand silence and don’t give opportunities for children to ask questions. Children are passive and there is no space or willingness for group work. For these children CPYWD organizes after-school activities using Learning-through-play concept. In these activities children are invited to work in little groups and they can show their own creativity. Elisha took the children to the play-ground of the school and introduced an interesting exercise. Children were standing in two circles, an inner circle and an outer circle. Each child of the inner circle had behind her/him a child of the outer circle. On a sign of Elisha the children of the inner circle had to "‘fall" backwards trusting the child behind her/him to catch them. Why such a game? It gives the children feelings of trust, experience of cooperation, a more relaxed physical feeling and last but not least the experience of a common class activity. Elisha continued the games in the classroom. Again the children had to work in little groups on simple tasks. Unfortunately there were not enough materials, (like memory and jig-saw puzzles) for so many children. There were too many children in one group and many children had to wait for their turn. Due to the strict discipline and the dutifulness of the children there was no chaos. But this kind of organization or setting is not so effective though the enthusiasm of the children was striking. They like these kind of learning-through-play. Conclusion: More materials and facilitators for learning-through-play are needed as well as training in working with big groups. As said before, the professional level of the teachers is sometimes dramatically low; young and not well trained in an institute. The need for special courses for them, focused on the psychological development of children and good didactic is very high. It was just this point of discussion we had with two representatives of the Ghana Educational Service in Tamale. These representatives were the Circuit supervisors of education. The GES is the local branch of the Ministry of Education in Ghana. They endorse this huge problem. They explained the complexity of the educational problems in the country. Overcrowded classes, lack of materials, low salaries, neglected buildings, and last but not least, the low professional level of the teachers. During this open talks and discussion a new initiative unfolded. Perhaps a pilot project (6 schools) to be managed by CPYWD, the Dutch Janusz Korczak Association and supported and monitored by the Ghana Education Service in Tamale is an option. We can start from the already existing contacts CPYWD have with the six schools (after-school program). We will work it out. My visit to Tamale ended in a very special and unforgettable way.Mr Yakubu Iddrisu had organised for Miss Sanne Peters (one of the Dutch volunteers) and me a meeting in one of the communities north of Tamale. It was planned as meeting for children and youngsters, coming from 4 little villages. When we arrived after a beautiful ride through the savannah landscape more than 250 children were sitting in a big circle and little by little the adults from the villages joined them. At least more than 300 people attended the function. Women dressed in beautiful coloured robes. Many of them with a little child carried in a cloth on the back. After a while, drums and bells approached and when they came closer and finally entered the circle we saw the 4 chiefs of the communities, dressed in traditional costumes, between them. Chairs stood ready and they took their place with dignity. Everybody kept silent. Mr. Yakubu after introducing Sanne Peters and me opened the meeting and explained why everybody was invited. He stressed in his speech the meaning of youth in a community. He did an appeal on active participation and he told the parents to stimulate activities and initiatives of their children. He also said how important play is for the development of the child. Then, the drums and bells again and we could enjoy a real African dance by an older man, one of the important elderly people of the village. Followed by a group of dancing boys dressed in ladies-skirts and little bells around their waist (unfortunately the original skirts don’t exist anymore). Although the dressing up was a little bit strange, the dance itself was amazing and original. This dance is traditionally known as "baamaaya". Then suddenly, after this dance, the man with the biggest drum approached to me and invited me to dance in the circle on their rhythm. One second I hesitated, but refusing would have been a shame and perhaps offending. So, I jumped in the circle and did my utmost best to look alike the dancing old man. You cannot imagine the cheers, shouting and laughter that resounded among all the children and adults. It should have looked like a dancing, idiot, white old, bold alien. Looking back at the pictures my friends made, I must say it was like that. But everybody congratulated me and I saved my face. The meeting ended with a big surprise for me. The chief of the village said: "I should like to say some words" and he addressed to us. In his own language (Yakubu translated) he stressed how the 4 villages were honoured to have Sanne and me as guests from Holland, supporting the projects CPYWD is doing in the communities. He offered me the title of honoured citizen (Zisung-naa) of his village. I received in a short ceremony 5 cola nuts handed in a coloured cloth. I was so touched that I couldn’t find words to say at that very moment. For me it was the most emotional moment of my stay in Ghana. Later I went to the four chiefs to talk with them and to express my gratitude and feelings. The meeting ended with a prayer of a referent minister of a community Baptist Church. CPYWD is a young but very diligent and ambitious project with a strong mission. The aims of the project are very relevant for the situation of youth in Northern Ghana. The project has a clear organization and a very good director (Mr. Yakubu Iddrisu). Co-workers of the project are enthusiastic and motivated. New, more and better materials for the learning-through-play activities. Cooperation with the teachers (the approach of the teachers and the volunteers are not always the same). Perhaps in a next step, pedagogical training of teachers and volunteers in a combined setting (see C-5). Regular meetings of the Dutch Ghana-group and feedback with CPYWD. The Swiss Korczak Association support a diplomatic initiative for the promotion of a Korczak Prize in Burundi.